Sesame Workshop is the non-profit behind Sesame Street. 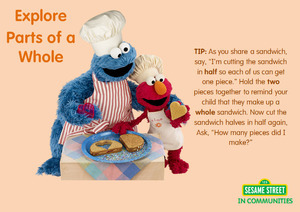 Sesame Street in Communities is a group within Sesame Workshop that creates and distributes tool kits for parents and educators on issues like how help children deal with grief and divorce. Managed the outreach and daily correspondence for three Sesame Street projects. Researched, identified, and contacted over 500 potential partners to creatively distribute materials for two new projects. Designed social media content for two Facebook pages and one Twitter, reaching over 25k users. Situation: Sesame Street in Communities wanted to better their social media strategy. 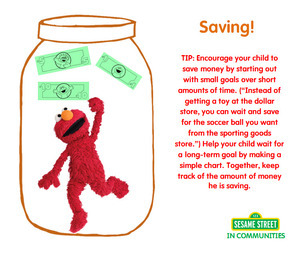 The main Sesame Street social pages get a lot of engagement, but these pages were more specific to parents and our business partners. We wanted to add creative content to our social media in addition to the infographics, tip sheets, and daily posts. Approach: Looking into our target demographic (parents and partners), we tried to understand their needs. We also looked at the resources we currently had like the toolkits. In these kits included a storybook, a conversation guide, tips, and coloring book. Solution: There was a gap in distribution of the kits where educators and parents could get the kits physically mailed to them, but if they did not know about Sesame Street’s offerings, they wouldn’t know how or where to get the kits. I placed the storybook on Facebook as a photo album, so people could preview and look through the contents to get an understanding of what’s in the kits. Impact: People became interested in the tool kits they did not know existed. People then took the next step and ordered some kits rather than just reading about our work online.